The reception is over, the decorations are put away and the third tier of the wedding cake is in the freezer. You've planned the wedding; now it's time to plan the marriage! What will life be like between now and your first anniversary? John and Kim Bytheway (who still consider themselves newlyweds) explore some of the wonderful adjustments of that first year. They talk about things like expectations, communication, appreciation, commitment and finances, and they also offer fun suggestions for keeping romance alive on a tight budget — all the things they wish they'd known. So while you're waiting for the pictures to come back, snuggle up and listen to What We Wish We'd Known When We Were Newlyweds — a perfect guide for going from "anxiously engaged" to "happily married." Kimberly Loveridge Bytheway was born and raised in Salt Lake City. She graduated from BYU with a degree in English. She and John were married in 1995. They have six children, and live in Salt Lake City. I really enjoyed listening to this audio book. It was nice to have both Kimberly and John read it together. It was a fun book to listen to, they were just 5 years into their marriage when they wrote it. 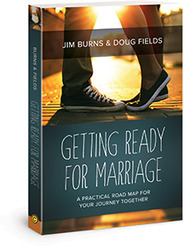 It would be most helpful for newly weds or those who are engaged, but it is also a great refresher for those who have been married for several years. 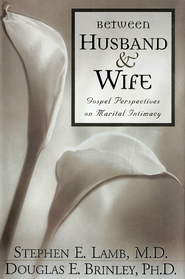 I dont know that it would really help anyone who has been married over five to ten years because even just a couple years into marriage we figured out most of the things suggested in this book. This book is full of a lot of great information. I would really recommend it to all engaged and newly wed couples, especially the very young couples. There is so much information you can learn from a book rather than trial and error in the beginning years of your marriage. Great book! Worth reading or listening to. I couldn't have possibly said it better myself. This a little insightful book, and it helps having both the male and female perspective come in to play in the book. It isn't bouncy or confusing at all. I love how they look back with laughter and a few frustrations, but with insights which they've learned about the other. Most newlyweds will do well to take note, and apply their perspective and insight's into their marriage and their personal lives because I am applying what I've read and thoroughly enjoyed from these two! There's definitely some good advice here from a well-meaning couple, however, it's definitely geared to younger LDS newlyweds who haven't dated much. As a 29 yr old, I found a lot of this to be plain common-sense, but if I was 19 and still living with my parents or in a house of girls at Ricks, it would be more applicable. However, I did appreciate the section on male/female differing points of view. You'd be better off to read some of their source books, like Chapman's "The Five Love Languages." I received this as a wedding present and my husband and I started reading it on our honeymoon. It really helped us adjust in the first year. We ended up lending it to his sister when she got married because we liked it so much. I give this book to all my newlywed friends! The Bytheways use humor and personal experience to give the example on how to keep the love alive in the first few months and years or marriage. My husband and I listened to this together. It had great advice that helped us in our marriage. It really had us thinking, "Man, we wish we'd heard this when we were newlyweds!" I love this book! My husband and I got married not yet a year and a half ago, and I've already read it twice. The first time, right after our marriage, we read it out loud together, actually stopping to discuss the discussion questions, which brought us closer together and gave us a few good laughs. The second time, I took a pink highlighter and read through the book from start to finish again, marking both what I need to work on myself and what I felt 'EXACTLY' about (in other words, anywhere they--Kim, usually--expressed my feelings and needs exactly, so that my husband can understand from an outsider's perspective that I'm more normal than he thinks -)). Then my husband read it again, noting what I'd marked in pink, as well as making his own blue markings, for me to scan over afterwards. This activity--and the book, of course--really helped both of us understand one another better and see each other's needs and expectations as the simple differences they really are. 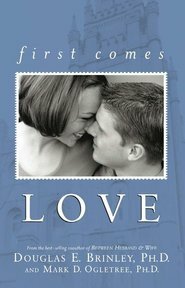 I recommend it as a MUST-HAVE for any newlyweds, LDS or not! Thanks John and Kim!